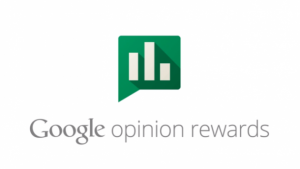 Last week Google released their Opinion Awards on iOS. Users of iOS can download the app from The App Store and link it to their PayPal account. The app then collects your GPS, WiFi, and beacon location data throughout the day. When Google sees that you’ve spent some time in a store (data pulled from Google My Business), there will be a chance you’ll receive a survey. Surveys should only take 30 seconds or so to complete, and you’ll get some money sent to your PayPal account. It’s a win-win situation (depending on how you value of your location data!). Google gets your location data, and you get cash to spend online. What does Google use the data for? Ultimately Google uses the data to better justify AdWords spend. If it can prove that increasing AdWords spend increases store visits, advertisers with physical locations will invest more AdWords (assuming it’s profitable to do so, which will vary for each business. When you click an AdWords advert Google ties the activity to your unique ID. And when you have the app installed and submitting location data it also tied to another ID. Google then uses this click to store visit rate, and extrapolate it to the general population. Along with the physical beacon technology that Google is beginning to roll out to select advertisers, this massive potential for collecting data from more than just Android users should result in even more accurate store data. The AdWords reference guide has more information about store visits. And if you’re a little creeped out at what location data your potentially sending to Google you can manage your location data online.